I finished shingling the roof, added railings to the balcony, and applied stucco to the exterior walls. 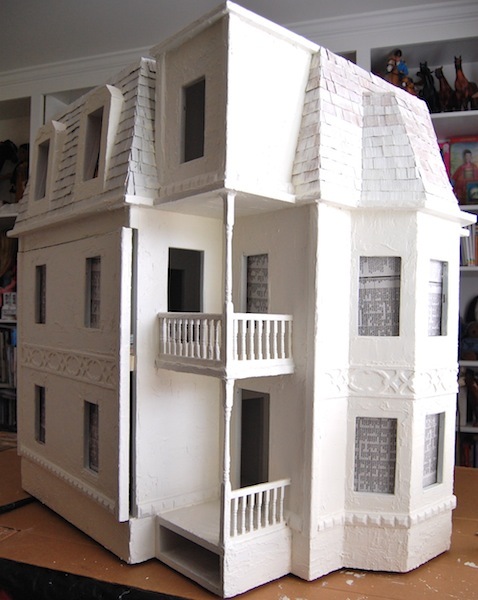 I undercoated the whole structure, and now it is ready for some paint. Wow, great progress! Looking good! Who are the candidates to live in this house? Ah, the difference a bit (or maybe a bit more) fresh paint makes... it already looks fab. Looks great! You are doing gorgeous work here. What a house! It will be endless fun to decorate. Thanks Caroline. This is a really BIG house! It just might take forever to finish too. 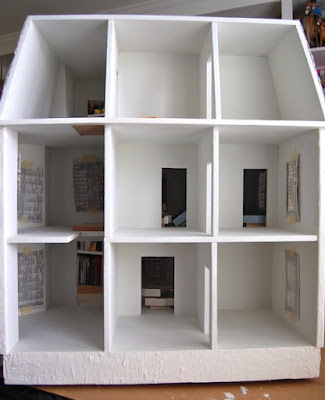 WOW this is a beautiful house you're doing here Sam! I love the stucco finish and the complete style of it. I had missed your blog posts, your blog disappeared off my reading list, so now I'm catching up! Thanks Sharon. Good to see you again. It's looking good, real good in fact!! I love what you have done so far and almost wish I was a doll so I could move in!! LOL! 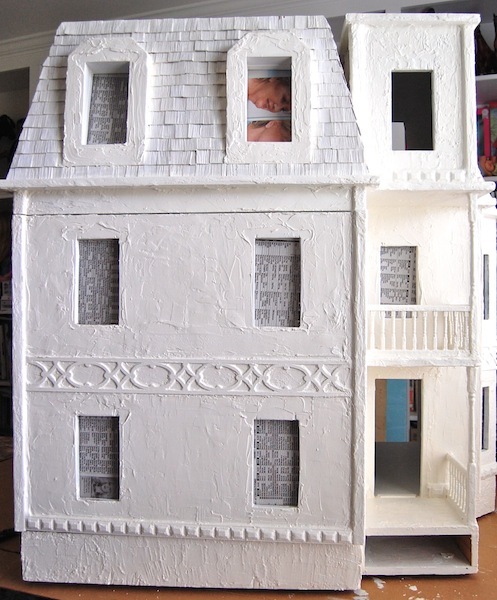 This is a style of home I could easily purchase for myself, I love bay windows and the little balconies. Thanks Xanadu. 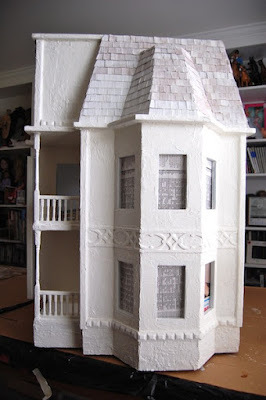 I like the architecture of this house as well, it is quite different from my other dollhouses. It would be fun to "see" it from a doll's perspective.